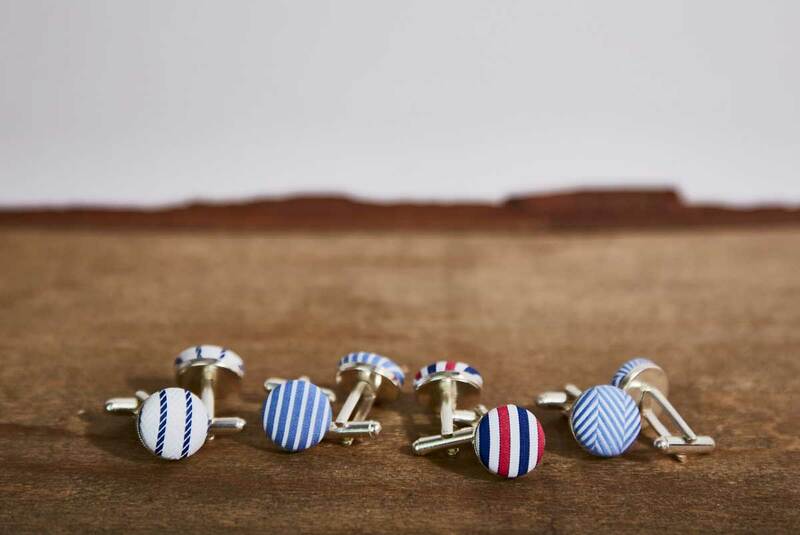 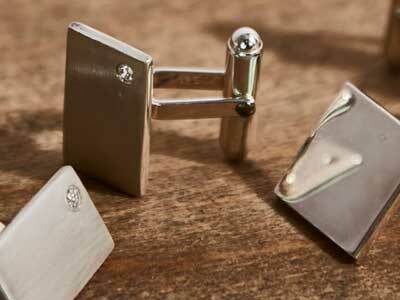 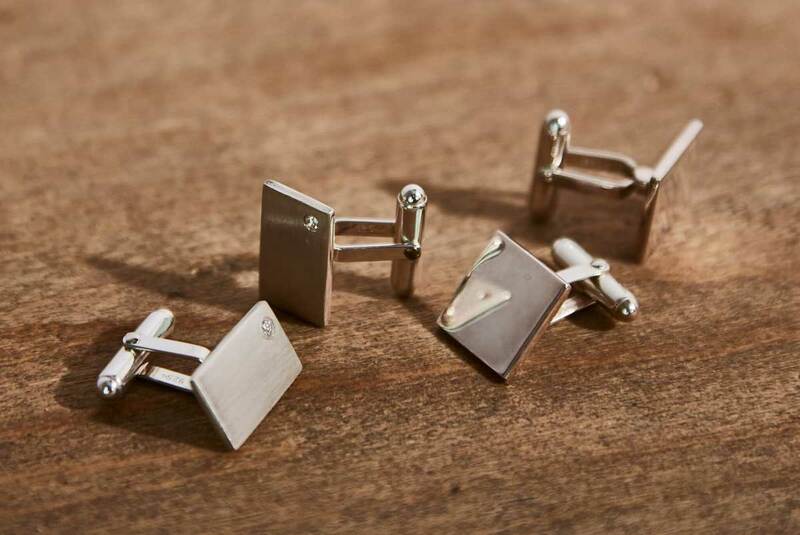 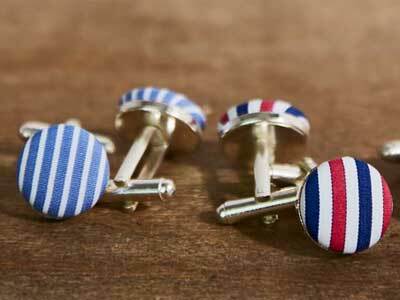 Custom-made fabric covered sterling silver cufflinks. 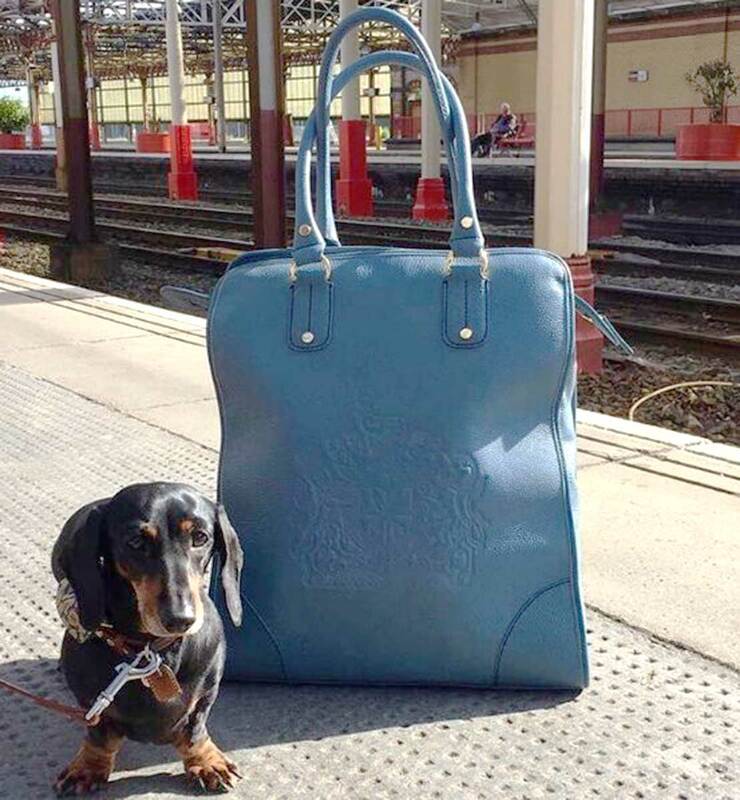 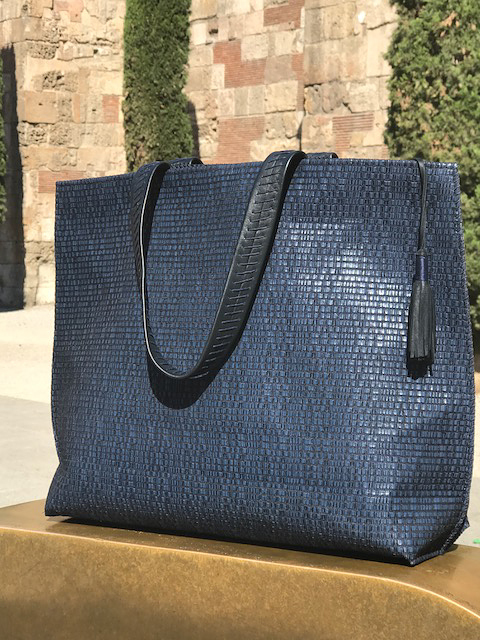 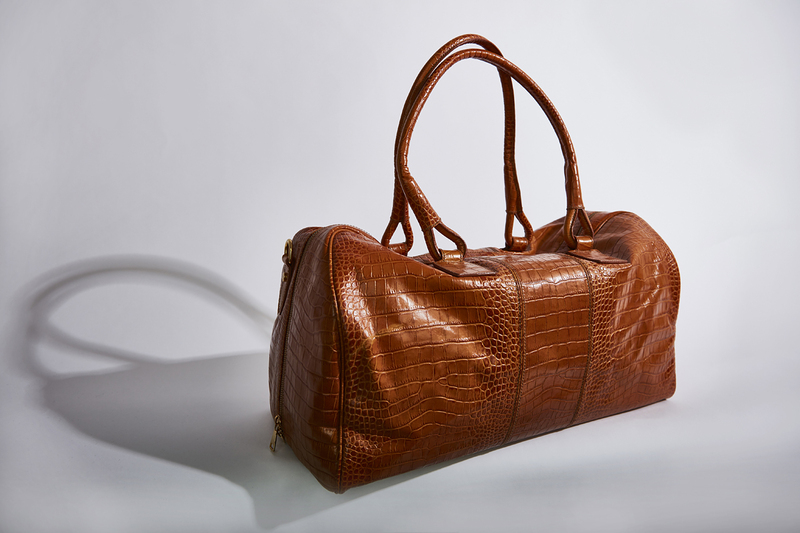 Hope with holdall embossed with the Stephen Williams signature crest. 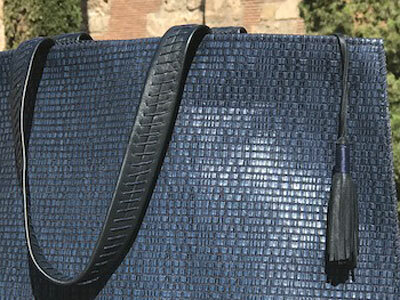 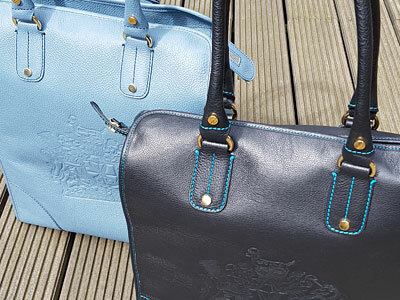 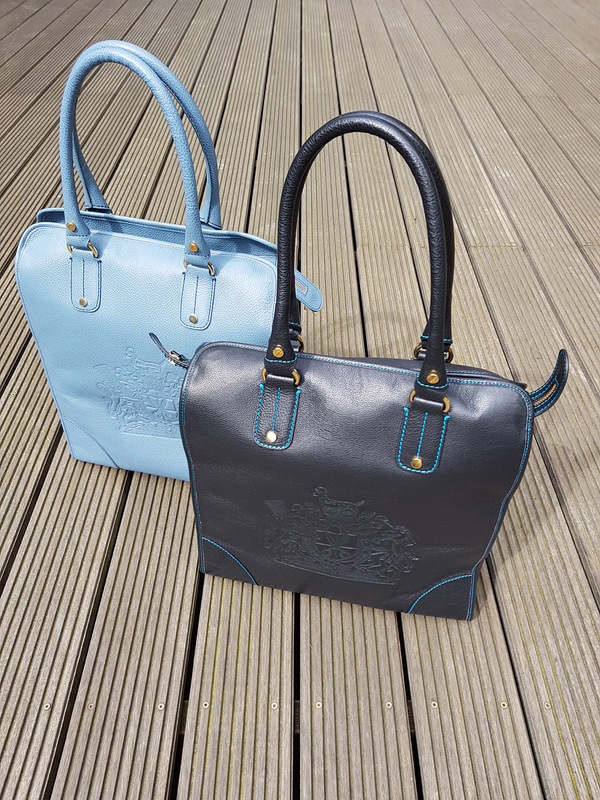 Handmade leather holdalls embossed with the Stephen Williams signature crest. 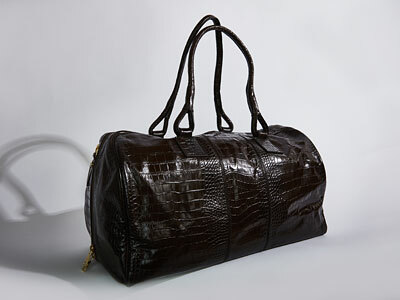 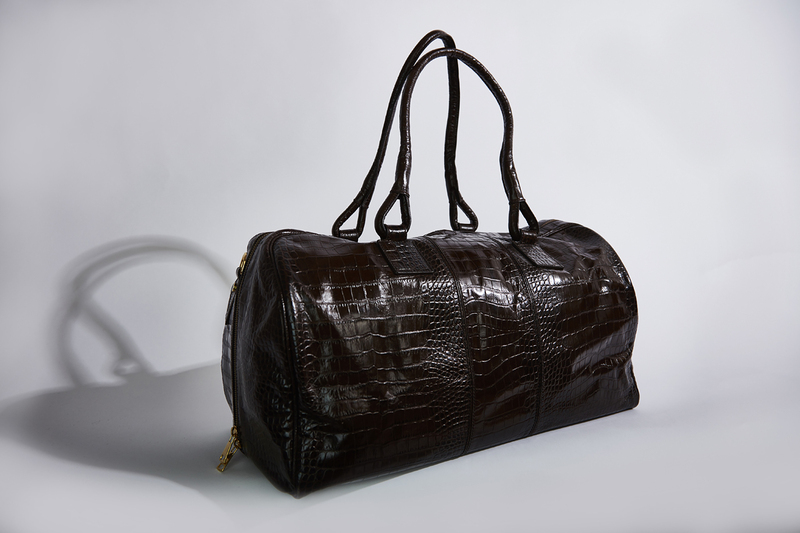 Dark brown croc calf leather drivers holdall. 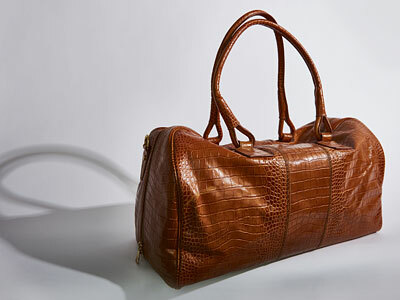 Tan croc calf leather drivers holdall. 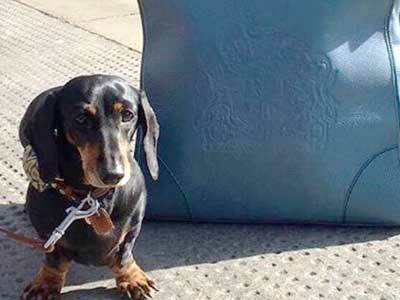 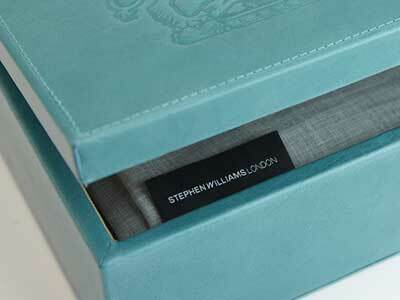 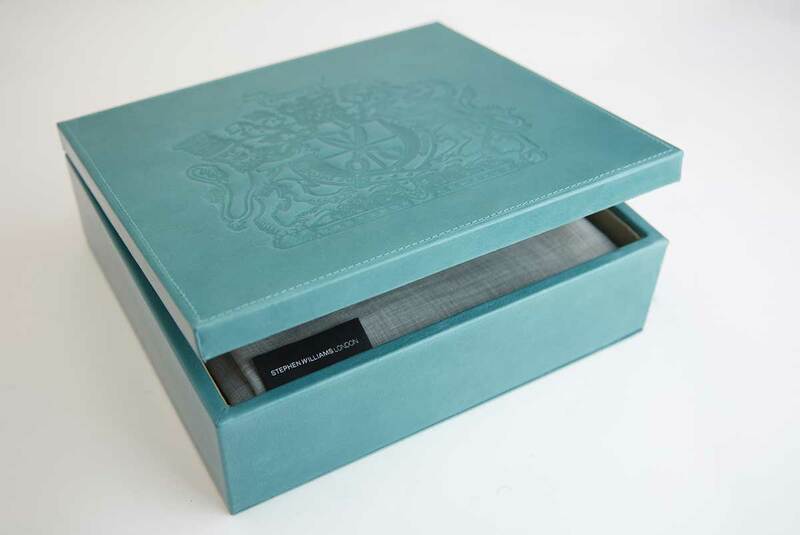 A bespoke suit or jacket in a box. 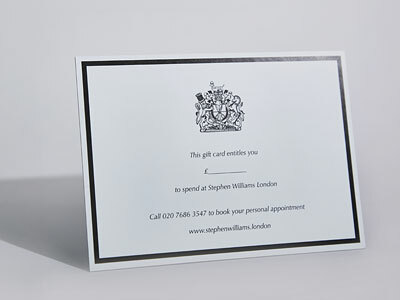 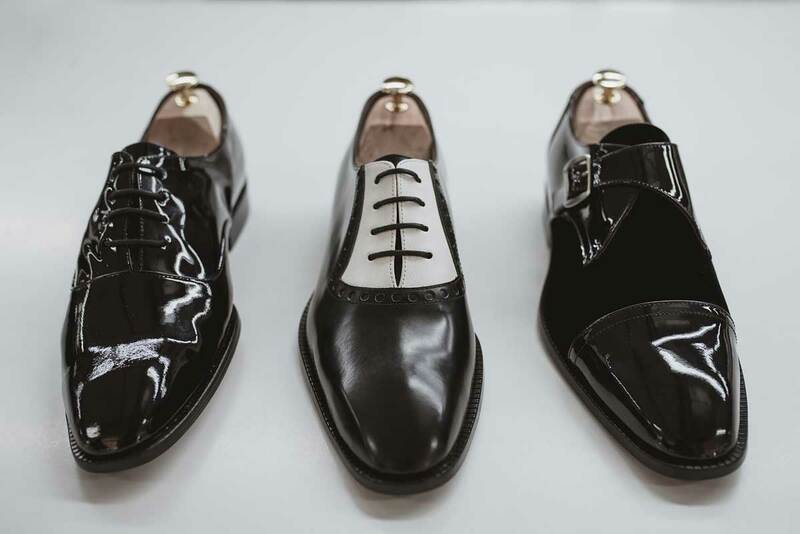 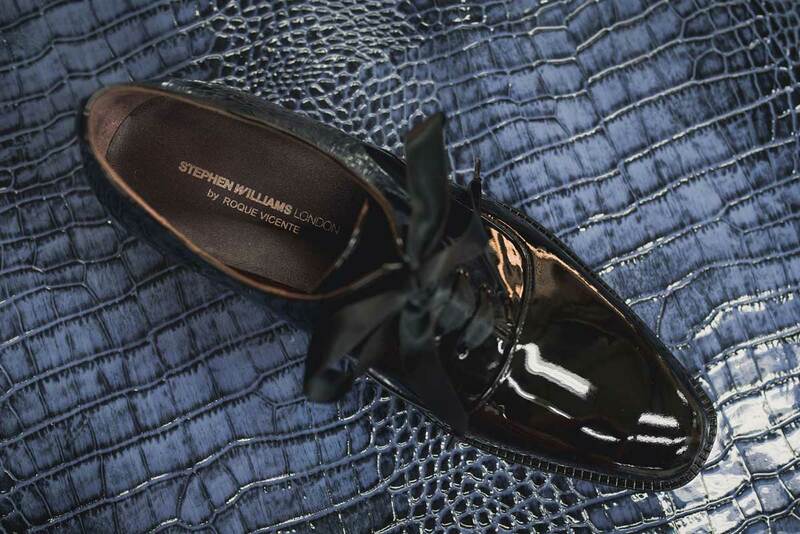 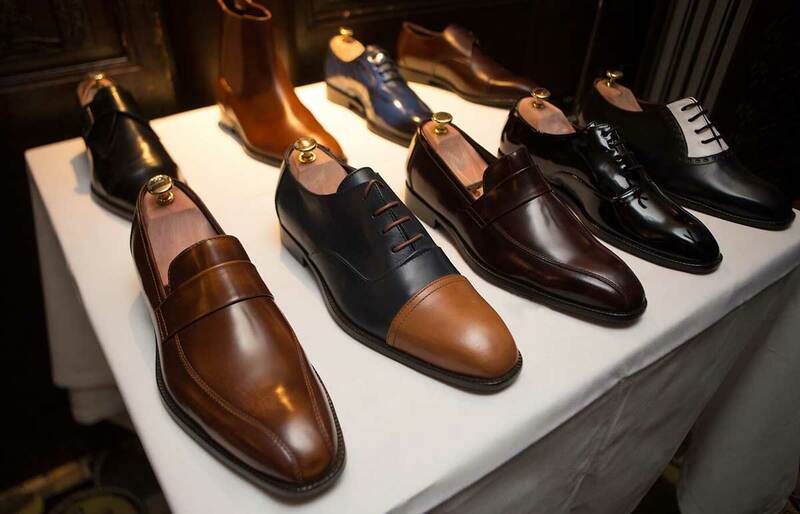 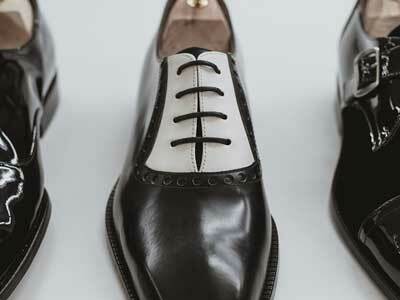 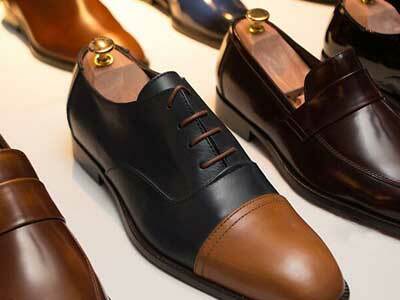 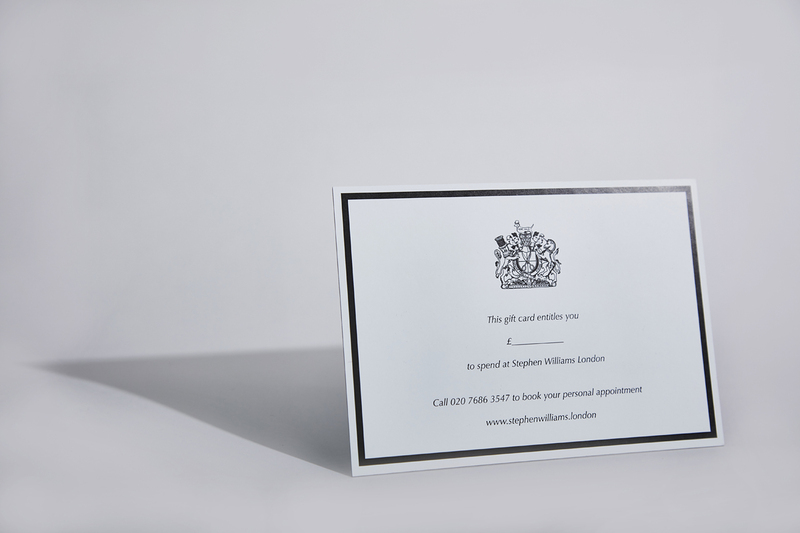 Stephen Williams London by Roque Vicente dress shoes. 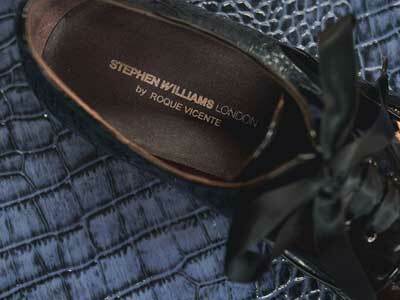 Stephen Williams London by Roque Vicente shoes.